Sooo Emily Maynard won’t be betting on Bachelor Nick Viall and fianceé Vanessa Grimaldi making it to the altar. The former Bachelor and Bachelorette star, 31, shaded the newly engaged couple during the season 21 finale on Monday, March 13. Maynard and Womack eventually split and she went on to become ABC’s season 8 Bachelorette, where she accepted Jef Holm’s proposal. The couple split in October 2012 and Maynard is now happily married to Tyler Johnson, with whom she shares baby sons Kyle and Jennings. She also has a daughter, Ricki, from her previous relationship with late fiancé Ricky Hendrick. 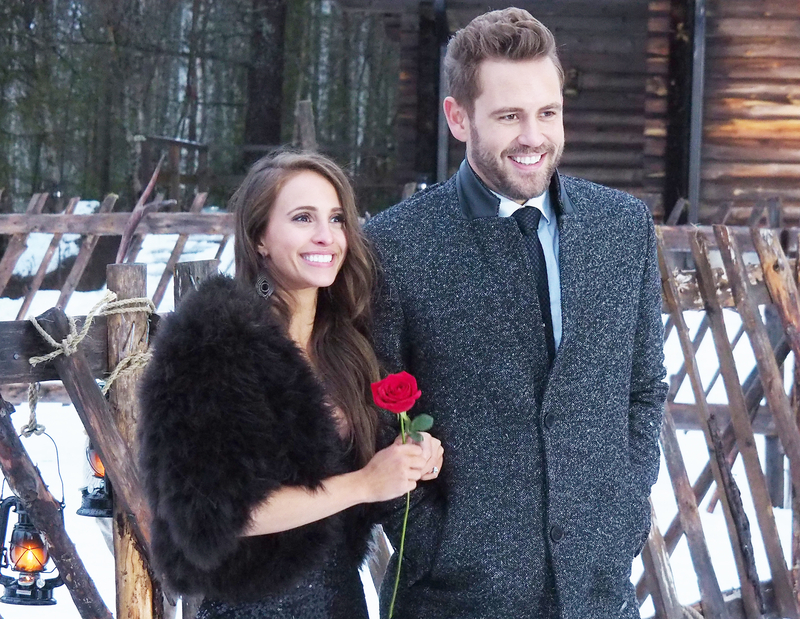 Viall and Grimaldi, for their part, got engaged during the season 21 finale on March 14, but already have some fans speculating if they’ll last. Watch the finale recap in the video above.